With this I complete the first task of sharing the true history behind the origin of Oothukkadu temple with all of you. The second task given to me by Lord Kalinga Narthana Perumal is to share with you few miracles that happened to some of the staunch devotees of the Lord. Prominent among them is the miracle experienced by Dr. Krishnan of France. Even after eleven years of marriage, his elder daughter did not come to the family way. Even after consulting many doctors and offering prayers to many temples, proved futile. 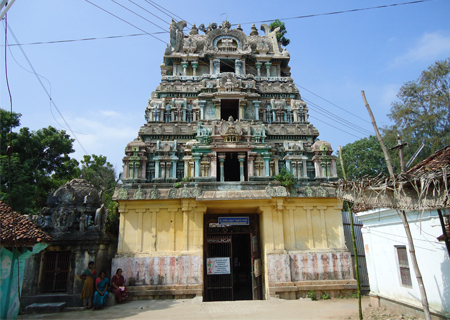 On one occasion, when Dr.Krishnan came to Oothukkadu temple and confided to my father regarding the same, my father, after getting permission from Lord Sri Krishna during the pooja , told him that he would pray to Lord Sri Krishna during each Rohini pooja and send the prasadams to which Dr.Krishnan agreed. 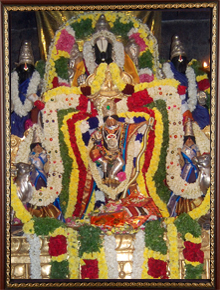 By the grace of Sri Kalinga Narthana Perumal, his daughter came to the family way just after three Rohini poojas. Finally, his daughter was blessed with a child born at the midnight in Rohini nakshatram and Ashtami thithi, which is a testimony to the blessing of Sri Kalinga Narthana Perumal. The same incident happened in the case of his son also. Similiarly, his daughter-in-law gave birth to a child at the midnight in the Rohini nakshatra and Ashtami thithi, after nine years of marriage. 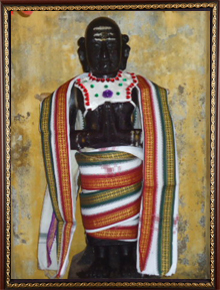 Thus Dr.R.Krishnan continues to be a staunch devotee of Sri Kalinga Narthana Perumal. In a similar way, Mr.Sivarama Krishnan hailing from Singapore, was also blessed with a child at midnight in the Rohini nakshatram and Ashtami thithi after fourteen years of marriage. From these three incidents it is clear that those who sincerely pray to Sri Kalinga Narthana Perumal regarding Puthra dosha will be blessed with a child by the grace of Sri Kalinga Narthana Perumal. Thus, Sri Kalinga Narthana Perumal is the presiding diety for redeeming one from puthra dosham and his sole blessing alone has the power to change one’s destiny, whatever may be the dosha in one’s horoscope. I take the pride in narrating how Sri Kalinga Narthana Perumal cured ailments through His blessings. The betterhalf of Mr.K.K.Mohandas, residing at Kongalampatti of Salem district was suffering from spinal cord ailment, which was giving her immense pain. Even after consulting with many speacilists she was not cured from the same. Completely dejected by this, she finally took refuge at Oothukkadu temple seeking the blessing of Sri kalinga Narthana Perumal. Seeing her sad plight, when we enquired about her problem, she confided to us about the same and told that she no longer can control the pain and hence wanted to end her life. We pacified her saying that all her worries and ailments would be cured if she part take in the ensuing Krishna Jayanthi festival within two days. Rejunuvated by this, she part took in the Krishna Jayanthi festival with great zeal and devotion to Sri Kalinga Narthana Perumal. On her return trip to her house, she came across a temparory tent where one local physician was selling herbal medicine. Seeing this she felt an inner urge to consult that physician. By considering this as a cue from Sri Kalinga Narthana Perumal, she confided to that physician about her ailment. After giving her four dosage of medicinal herb, he asked her to take one dosage every day. He further told her that by the end of the fourth day she will not find any solace to her ailment, she could contact him at the afore mentioned address. Within two days of taking the medicine she found great relief from her ailment and by the end of four months she became completely cured. In order to express her gratitude to that physician she decided to meet him at the address given by him. Only then she came to know that the name of the physician was Mr.Muthu Krishnan. Then she recollected what we had told her. She realized this to be a miracle of Sri Kalinga Narthana Perumal and thus became one of the staunch devotee since then. I would like to bring to your kind notice of how Sri Kalinga Narthana Perumal extended the life span of one of His devotees. One fine afternoon we received a phone call from Chennai from a devotee’s wife saying that her husband who was seriously ill was admitted in a hospital. The doctors had no hope of saving his life and hence she was very much distressed. She wanted us to perform an archana in the name of her husband and sent her the prasadam. As she had desired we performed the archana and sent her the prasadam. After two to three days time, we received another phone call from her saying that she had received our prasadam and that her husband is recovering from his ailment. As a result of her staunch devotion to the Lord, her husband lived for another five years after which he died. Nobody has the power and the right to surpass the ultimate truth which is death. It is against dharma even for God to win over death. At the same time God has to heed sincere devotion of his devotees. As a testimony to this, Sri Kalinga Narthana Perumal answered the prayer of His devotee by extending the life span of her husband by five years and finally merged her hunband’s soul with His. I would like to share with you an incident that occurred at Sri Kalinga Narthana Perumal temple itself. One fine day, a devotee who was doctor, came to the temple to us that he was not able to get a suitable alliance for his marriage. While in pooja, we got assurance from Sri Kalinga Narthana Perumal not to worry about this. No sooner had we conveyed this to him, than there came two elderly couple that they were not able to find a suitable alliance for their daughter. We understood this as the divine intervention of the Lord. Due to the blessing of Sri Kalinga Narthana Perumal, the alliance between the doctor and the daughter of the elderly couple was fixed then and there and later the marriage between them also took place. This is the testimony that who so ever has difficulty in finding their alliance partner, if they pray sincerely to Sri Kalinga Narthana Perumal, there marriage will surely take place by the blessing of Sri Kalinga Narthana Perumal. 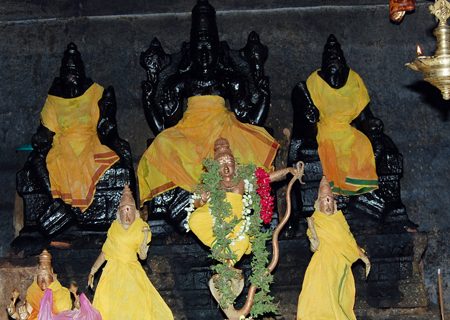 Like this, we have been witness to thousands of miracles performed by Sri Kalinga Narthana Perumal. I consider it as my bounded duty to share each of these miracles with you. I have dedicated my entire life as Krishnadasan to narrate the miracles performed by Sri Kalinga Narthana Perumal to you.